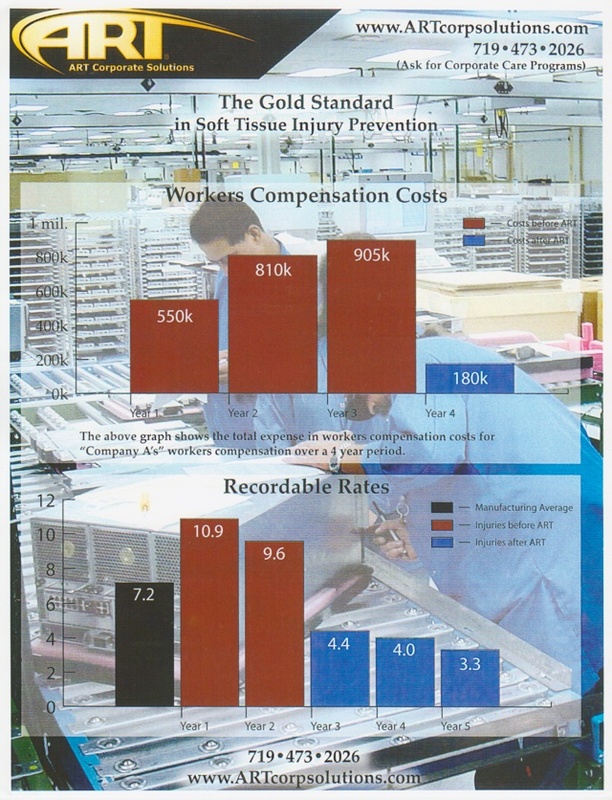 ART® Corporate Solutions, Inc. offers a complete soft tissue management system for companies striving to reduce worker's compensation costs and recordable injury rates in the area of repetitive strain and strain/sprain injuries (MSD's). 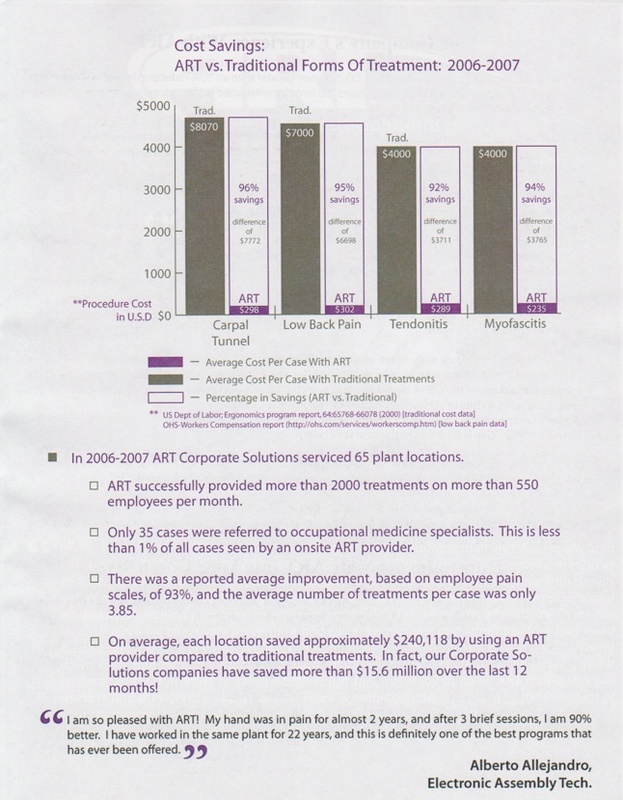 ART Corporate Solutions Exclusive Provider Network utilizes the highest level Active Release Techniques® providers throughout North America to work with private corporations, insurance carriers, and professional sports teams, to help the employee achieve a pain free (or greatly improved) level as quickly as possible at a significantly reduced cost. 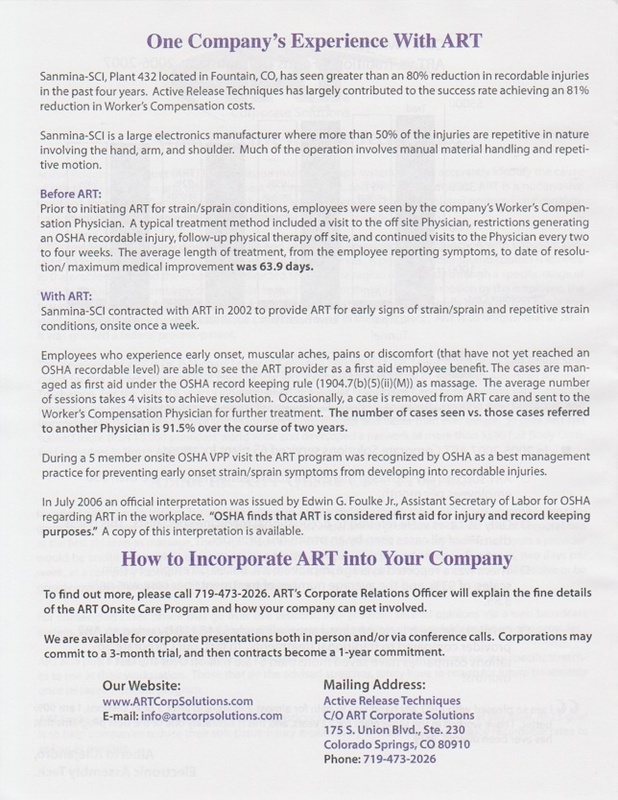 ART is recognized by OSHA and the department of labor as a wellness, prevention, or first aid measure. Dr. Zeitler is part of ART’s Exclusive Provider Network and is available to work with corporations in Connecticut and New York to help reduce workers compensation and healthcare costs. 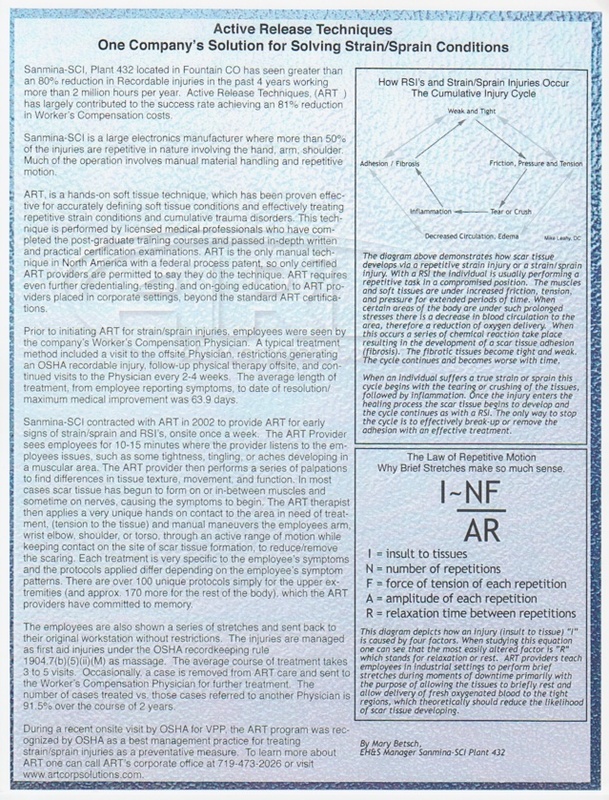 For more information go to www.artcorpsolutions.com or contact Dr. Zeitler at (203) 417-3375. 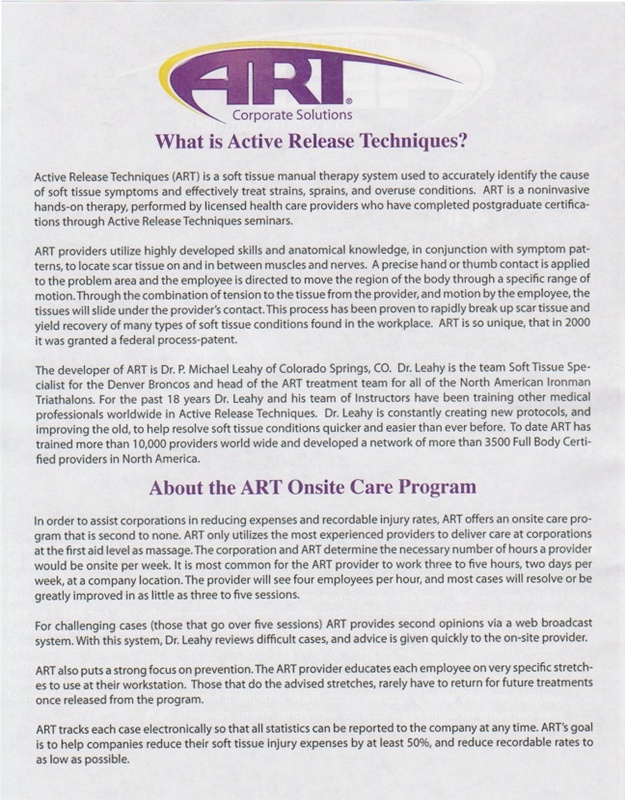 Below is some additional information regarding ART® Corporate Solutions and the Exclusive Provider Network.